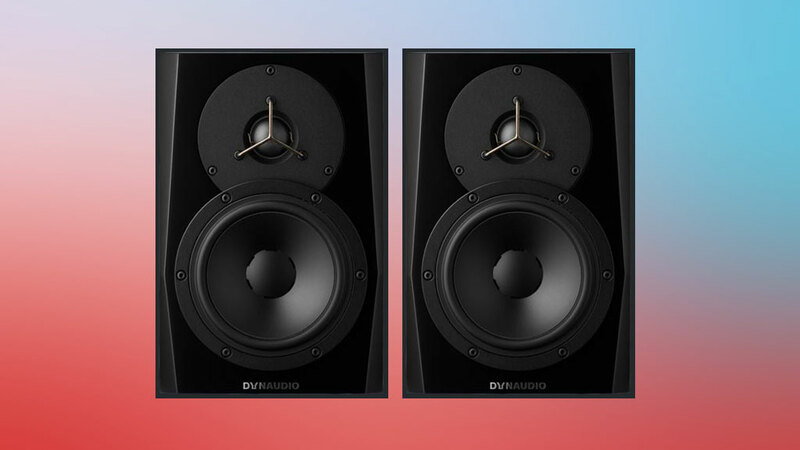 Whether you’re a professional audio engineer or an amateur musician looking to ensure your work sounds as high-quality as possible, a decent studio monitor is a must for any dedicated music fan. 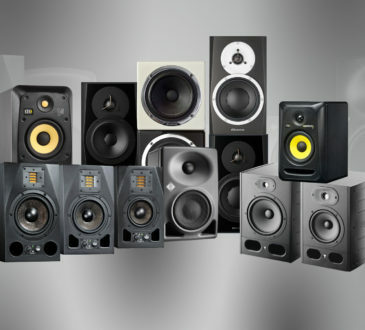 Designed to maximise the quality of your audio when you’re recording, mixing and mastering, studio monitors are essential for ensuring your recordings sound great, offering precision sound that allows you to hear what works and what doesn’t – but they don’t always come cheap, with some models easily costing upwards of £5,000 per pair. 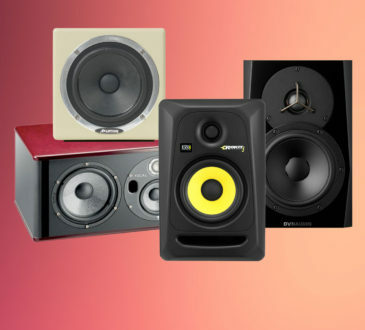 For those on a budget, however, there are plenty of options available which offer excellent performance at an affordable price – and with that in mind, we’ve compiled a list of some of the best studio monitors under £500 each. This tiny monitor is ideal for anyone working with limited space and is a bargain at a shade over £200, boasting the functionality of a monitor twice the price. 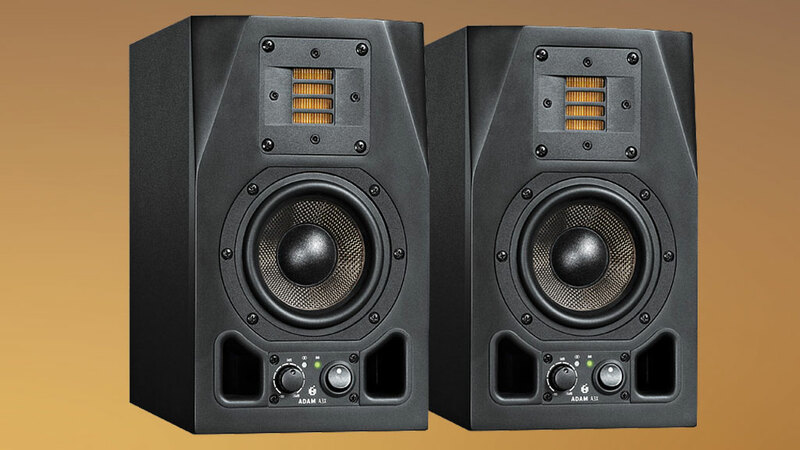 Notable features include a lightweight build and, on a practical level, an easily accessible volume control and power switch on the front – but the mark of a great studio monitor ultimately comes down to the sound, and the A3X performs strongly in this regard; the A3X packs real quality into its compact frame, with detail at both the low and high end frequencies thanks to the inclusion of a 5” woofer and a ribbon tweeter. Allying powerful output with a stylish design and an array of useful features, the A5X is an impressive all-rounder with a price which makes it a great option for home producers. The heavy bass lends your audio real substance, while the high and mid-range frequencies perform well – and front-facing gain knobs allow you to alter your output simply and effectively. The A7X series offers additional sound quality thanks to its increased woofer size, and can certainly reach a louder volume, although the price jump makes it a less affordable option if you’re on a tight budget. 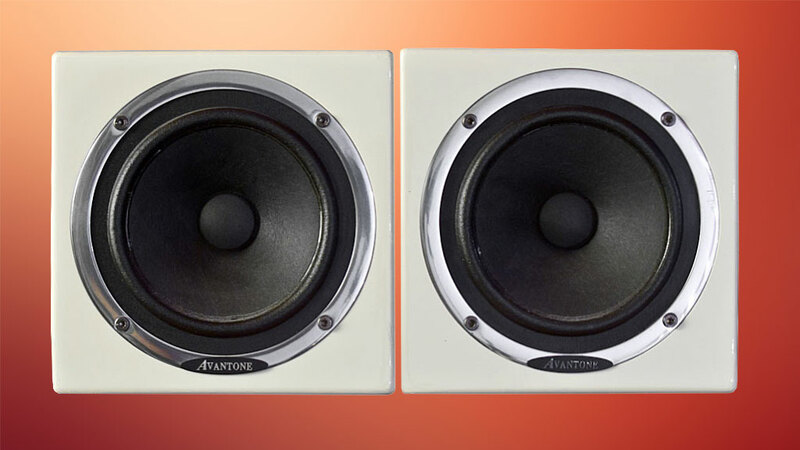 Available at a range of prices to suit your budget, this active speaker from Avantone is an ideal secondary monitor for your home studio; emphasising the mid-range, the Mix Cube Active allows you to hear how your audio will sound on everyday speakers, but is best combined with a monitor that covers the full range of frequencies for maximum effect. Compact, light and with a chic, retro design available in cream or black, the Mix Cube scores highly on style as well as functionality, while the sheer power of the output belies the monitor’s small size – this monitor is available as either a passive, non-powered model or an active, powered model which comes with a built-in amp. 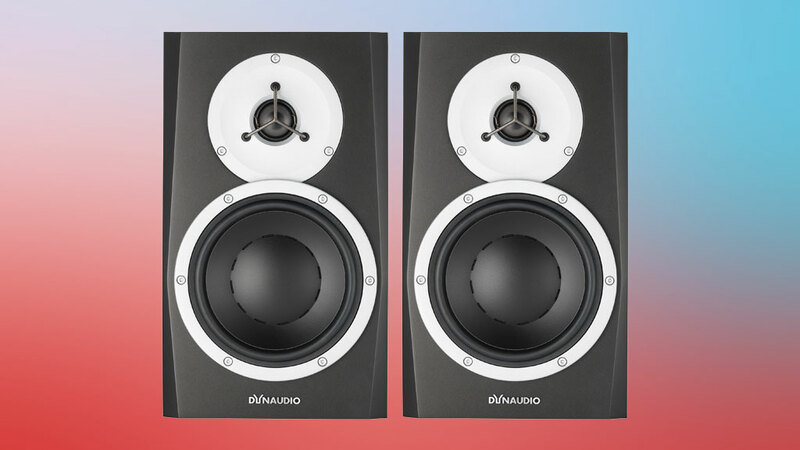 Marking a notable upgrade on the early mk ii model, Dynaudio’s PRO BM5 mk iii is towards the higher end of the price range if you’re in the market for a budget studio monitor – but spend a bit of time in the company of this monitor and you will immediately notice the difference in quality. A greater breadth of frequency is especially noticeable at the highest end while the sheer power of the bass is an experience in itself, and the mk iii in general offers a clean sound even at the loudest volumes. The robust build of this speaker is another plus, with a pleasingly heavy feel which should ensure you get long-term use out of it. If you’ve got a bit more money to spend, the bold design and fantastic sound quality of Dynaudio’s LYD series is a great place to start. 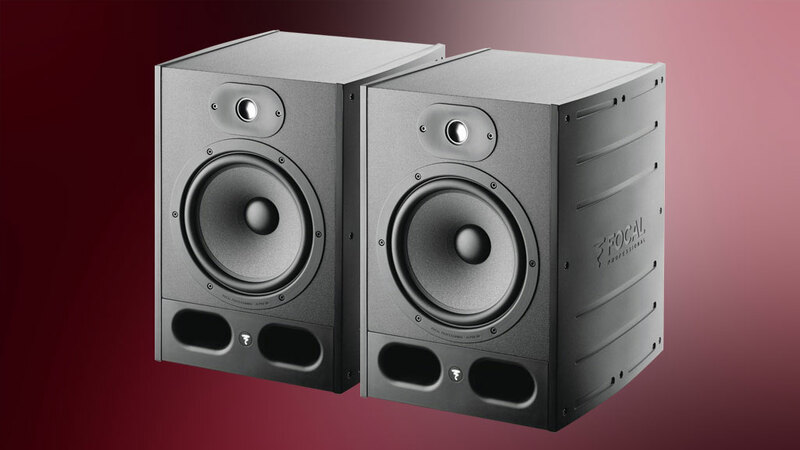 The Danish company prides itself on producing high-class studio monitors with excellent high and low frequency output, and these models are no different, boasting a crisp high-end and a rumbling bass courtesy of an impressive woofer (the difference in price denotes the size of the woofer, with 5” and 7” models available). A handy sound balance knob allows you to find the perfect level to suit your requirements, while the LYD’s slick appearance – the model is available in black and white – is sure to add a touch of style to your home studio. The Alpha 50 model is French company Focal’s smallest studio monitor – but be under no illusions, this speaker packs a real punch. Perfect for a home recording studio set-up, the Alpha 50 boasts many of the features of Focal’s more expensive models, without the sky-high price tag – at £229 this model is a real bargain, with crystal clear audio at high end frequencies and a booming bass ensuring your mixes hit all the right notes. 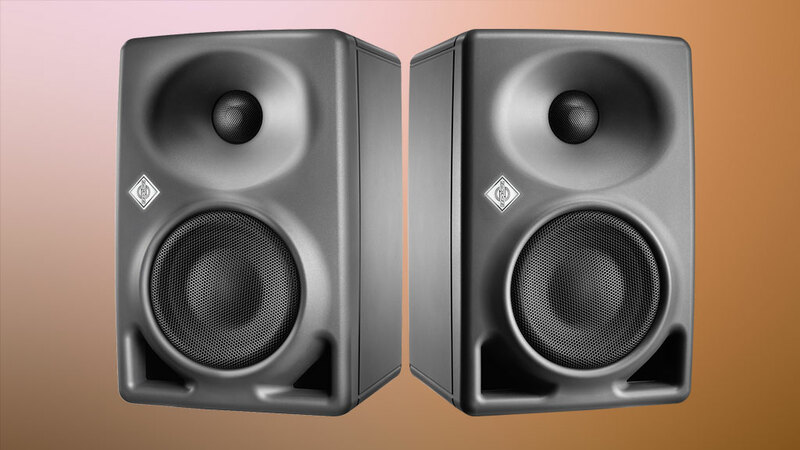 If there’s a minor criticism to be made it’s that, clocking in at a hefty 16lbs, the Alpha 50 isn’t the most mobile of studio monitors (although this adds to the model’s powerful, modern look) – but overall you will struggle to find better value for money. 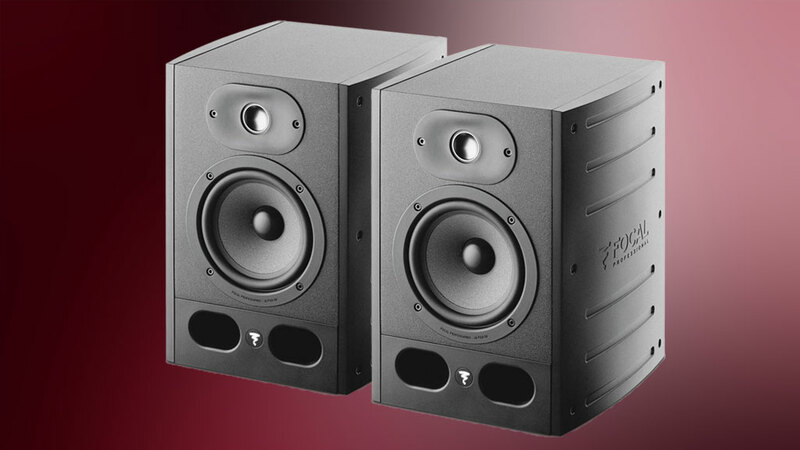 While there is a significant increase in price compared to the Focal Alpha 50 model (above), the French company’s Alpha 65 speaker is a significant saving compared to their high-end professional studio models, while still offering a superb end product. The 6.5” bass driver ensures your audio will benefit from a substantial, detailed low-end while the mid and high-end frequencies are equally impressive – the Alpha 65 can reach an ear-bursting 106db – and features including an automatic stand-by mode and an array of inputs on the back come as standard. If you’re willing to spend but want to ensure you’re getting value for money, this might be the one for you. 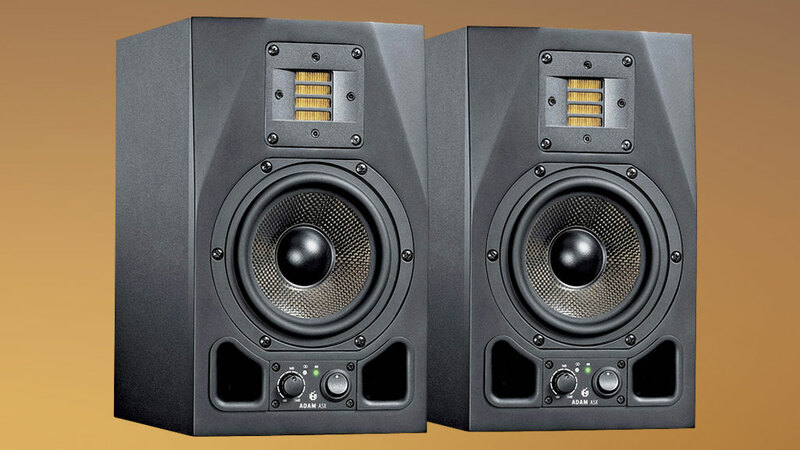 As an entry level studio monitor, you won’t find many more impressive than the KRK RP5. This superb model boasts clean highs and a clear bottom end, making for a perfect addition to your home studio. A robust build and attractive design add to the RP5’s appeal, and it loses little sound quality when placed on shelves, while a range of knobs allow you to adjust the output as required; a slightly underpowered bass is the only criticism, but this is easily fixed with the addition of a sub-woofer. At such a low price, you’ll struggle to get more for your money. 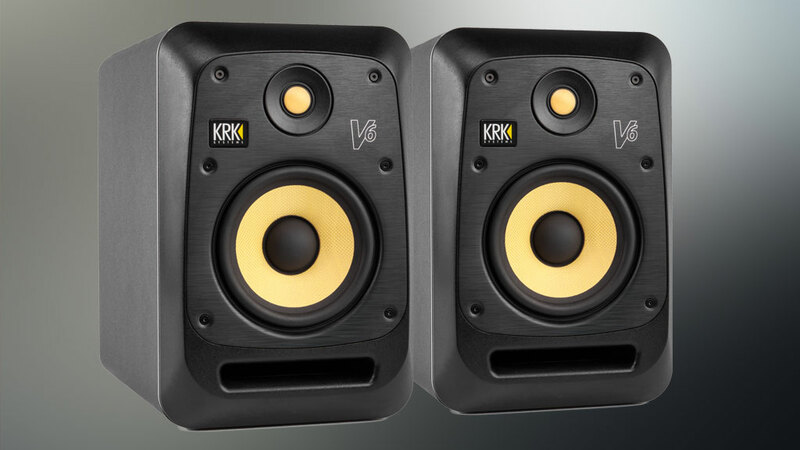 At a cost of almost £500 the KRK V6S4 comes with high expectations, but this superb studio monitor lives up to them with ease. Aimed at the home producer market, the V6S4’s no-frills approach to sound production is refreshing – quite simply, this superb speaker offers excellent audio quality with a minimum of fuss. A 6.5” woofer provides a bass which is punchy but not overpowering for a balanced sound which is ideal for ensuring your mix levels are on point, and the option to easily change dB level is an excellent addition. For those on a larger budget, this fantastic speaker is available with increased woofer size for added power. 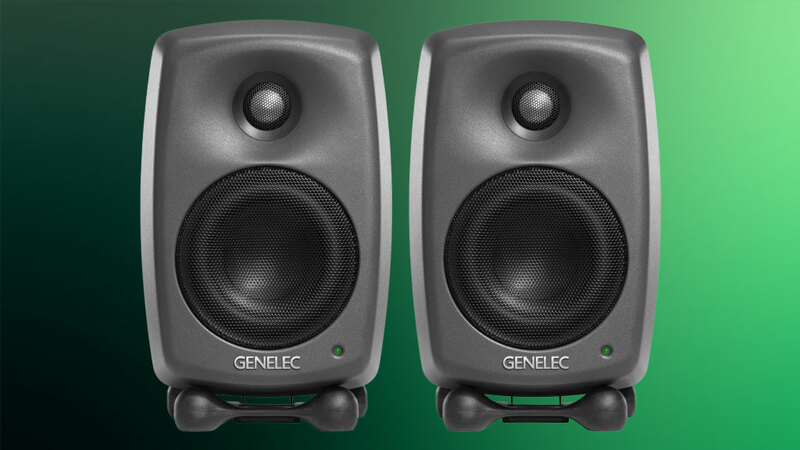 Genelec’s 8320APM model might have a familiar look – the brand’s trademark grey enclosure remains intact – but it houses some impressively modern features aimed at the professional home studio user. 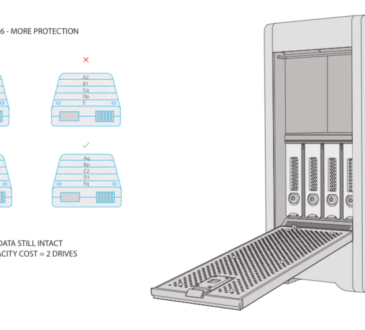 The 8320APM feels satisfyingly sturdy and allows for a range of inputs, while the most notable new function is the room calibration system, which automatically provides the best setup to suit your surroundings, ensuring your sound quality will always be at optimum levels – a fantastic addition for the mobile producer who uses equipment across a number of rooms. One of the most versatile studio monitors on the market, the KH80 is suitable as a secondary speaker but boasts a sound quality that would rival many primary speakers, thanks to the 4” woofer, 55w treble amp and 150w bass amplifier contained within the impressively compact case. Despite its small size, the KH80 never feels awkward or over-complicated, with a subtle, handsome look which will fit nicely into your project studio – and the anticipated arrival of a related app which allows you to control the speaker remotely could be a game-changer. The high price may be off-putting for some, but this model’s superb performance ensures it still offers great value. 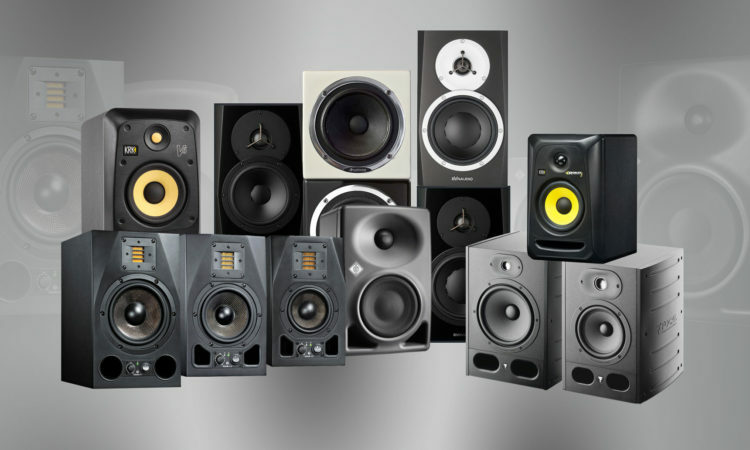 So there you have it – a rundown of the best low-price studio monitors around – proof that, even in a market where it’s possible to spend four figures on a decent home studio, it’s still possible to find high-end equipment at affordable prices, with a number of esteemed brands offering superb speakers that won’t break the bank. You just have to know where to look! All prices listed are correct at time of writing, are inclusive of VAT and are subject to change. Unless stated, all prices are per single speaker. These monitors are WAY pricier than the others on the list…that they would also be LESS popular. 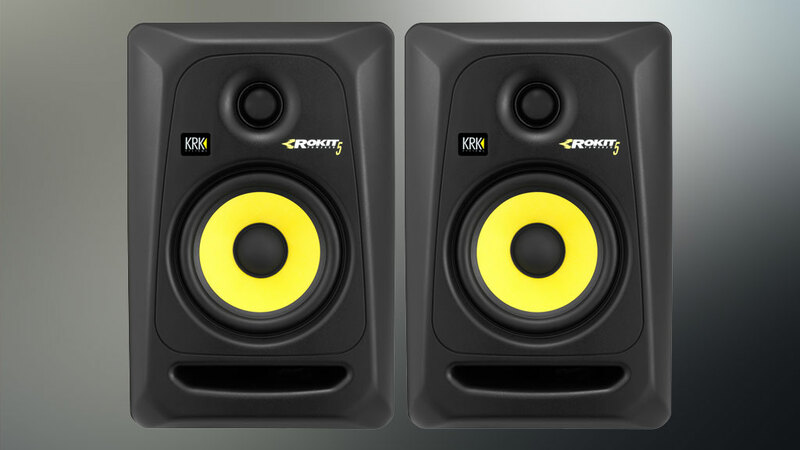 Yet despite their cost, the KRK Rokit RP5 G3 Black appear to be among the most popular set of monitors in ANY category. 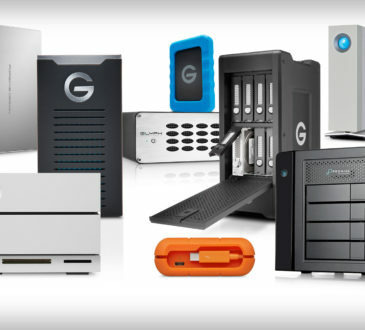 If you can afford them, THESE are the ones I recommend most over ALL the others.